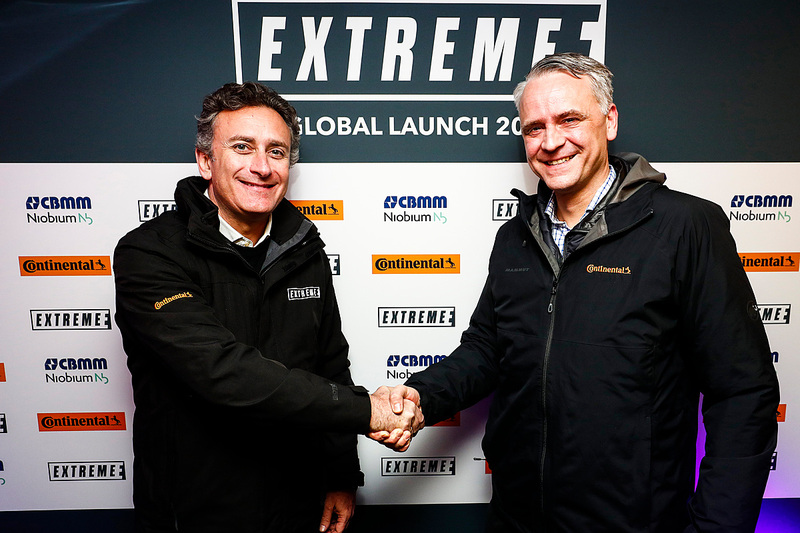 "We are truly excited to partner with Extreme E." said Nikolai Setzer, member of the Executive Board of Continental AG responsible for the Tire division and Corporate Purchasing. "This very new format of racing sports offers the opportunity to demonstrate how our ultra-high performance tyres succeed in extreme conditions. Drivers in this adventurous off-road series will experience how performance meets safety, no matter which ground. An important factor of this series will be to heighten the audience awareness towards current and future challenges such as climate change, the responsible interaction with our environment and the protection of important ecosystems. Sustainability is high on our company's agenda and this aligns perfectly with the targets of Extreme E, too." The technology company will equip all of the cars in the races with suitable tyres for the respective terrain. Founder and CEO of Formula E, Alejandro Agag added: "I've always been passionate about progressing electric vehicle technology and the impact that clean mobility solutions can have on the efforts to halt global climate change. I strongly believe that Extreme E can help make the world more sustainable faster, and we have a dream team to make this ambition a reality. Gil de Ferran is a leader in the world of motorsport, and in David de Rothschild and Fisher Stevens, Extreme E has attracted two of the best in their respective fields. Likewise, welcoming Continental Tyres as a founding partner - and CBMM as niobium supplier - is a huge boost to Extreme E and shows the strong commercial appetite for this sustainable sport and entertainment concept." Find your own continental tyres online today with Formula One Autocentres - choose from ContiSport or ContiEco, to ContiPremium and more. Search for your continental tyres online now.